Today, Disney premiered a new trailer for their upcoming August 3rd release of Christopher Robin. This time around, we finally see the first glimpse of some of our other childhood favorites Piglet (voiced by Nick Mohammed, Eeyore (voiced by Brad Garret), Tigger (voiced by Chris O’Dowd), and many more. From the trailer, we see that not only does Christopher Robin (Ewan McGregor) needs some saving but his childhood friends could use some help from their old friend as well. This trailer is giving me all of the feels and fond memories from my childhood. Make sure you check out the trailer and official poster below! 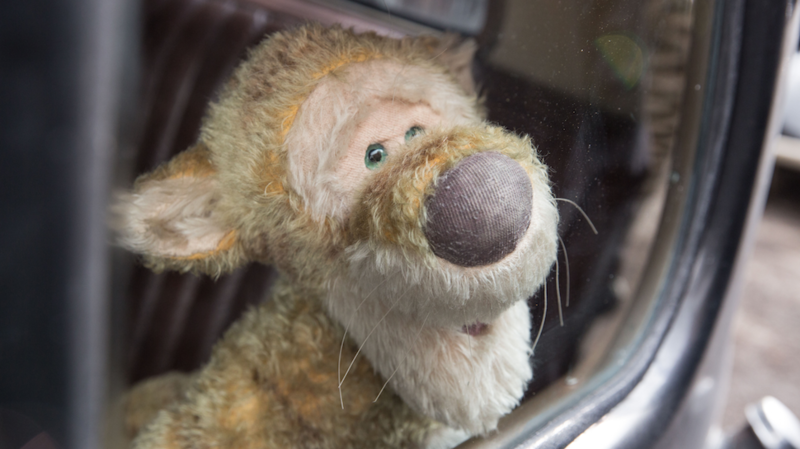 In the heartwarming live action adventure Disney’s “Christopher Robin,” the young boy who embarked on countless adventures in the Hundred Acre Wood with his band of spirited and lovable stuffed animals, has grown up and lost his way. Now it is up to his childhood friends to venture into our world and help Christopher Robin remember the loving and playful boy who is still inside. Now grown up, Christopher Robin is stuck in a job where he is overworked, underpaid and facing an uncertain future. He has a family of his own, but his work has become his life, leaving little time for his wife and daughter. Christopher has all but forgotten his idyllic childhood spent with a simple-minded, honey-loving stuffed bear and his friends. But when he is reunited with Winnie-the-Pooh, now tattered and soiled from years of hugs and play, their friendship is rekindled, reminding Christopher of the endless days of childlike wonder and make believe that defined his youth, when doing nothing was considered the very best something. Following an unfortunate mishap with Christopher Robin’s briefcase, Pooh and the rest of the gang including Piglet, Eeyore, and Tigger, step out of the forest and venture into London to return the crucial possessions…because best friends will always be there for you. Disney’s “Christopher Robin” is directed by Golden Globe® nominee Marc Forster (“Finding Neverland”) from a screenplay by Alex Ross Perry (“Golden Exits”) and Oscar® nominee Allison Schroeder (“Hidden Figures”) and a story by Perry based on characters created by A.A. Milne. Disney’s Christopher Robin hits theaters on August 3rd, 2018. Make sure to share your thoughts on the trailer in the comment section below! Trailer not working keeps playing Buick commercial! Now it’s works after I posted my first comment! Has the makings of being a great family film! Can’t wait to see it! It’s time for a new generation to experience this classic. Omg, I cant wait to see all of the characters come to life! So excited about this move! I think that I will love this movie. It seems to be a feel good movie, and we can use some of those movies from time to time. I saw a movie I think last year that gave history on the author of Winnie the Pooh . The creation of winnie the pooh helped almost caused the demise of his family. I like the way this movie has to remind us of the important things in life, when we lose our way. I look forward to seeing this film because I like many others grew up with this story. I can’t wait to see it and share it with my daughter.